Once upon a time there was a famous polo shirt that then became available for kids. 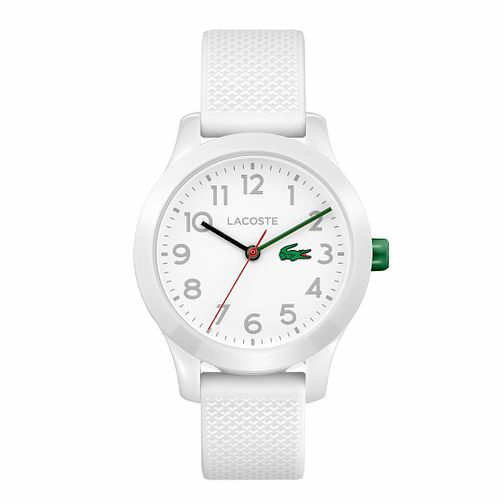 Now the Lacoste 12.12 watch has inspired a kids' range that lives and breathes joy of life, authenticity and sportiness. Small is beautiful, it's colourful and practical too. White TR-90 case, white 32mm dial and white silicone strap.